Poor ol Dad! This year Father’s Day was trumped by a HUGE basketball tournament that we had unknowingly committed to that was on Father’s Day. 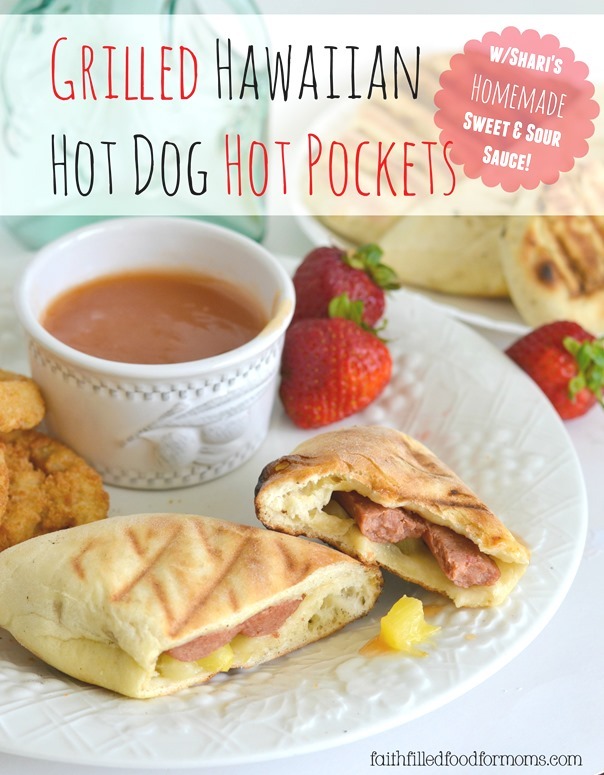 To honor him though we made these yummy Grilled Hawaiian Hot Dog Hot Pockets! 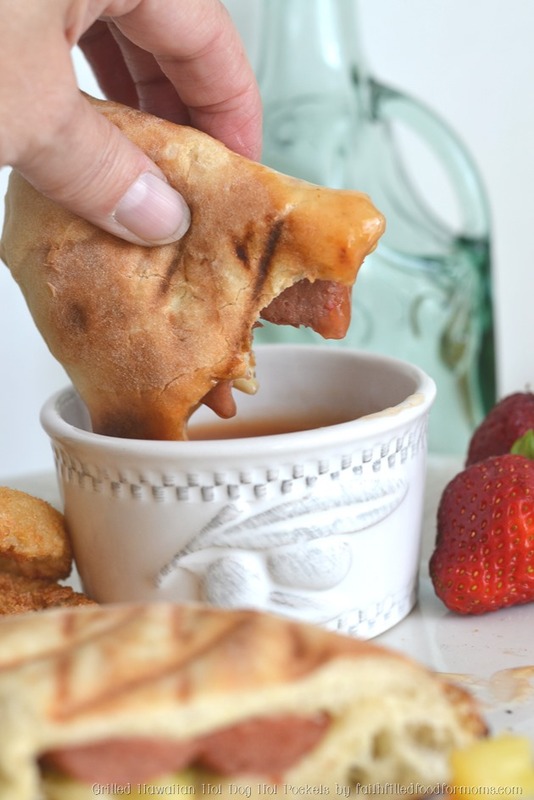 Making creative Hot Pocket Recipes is one of my faves to create! 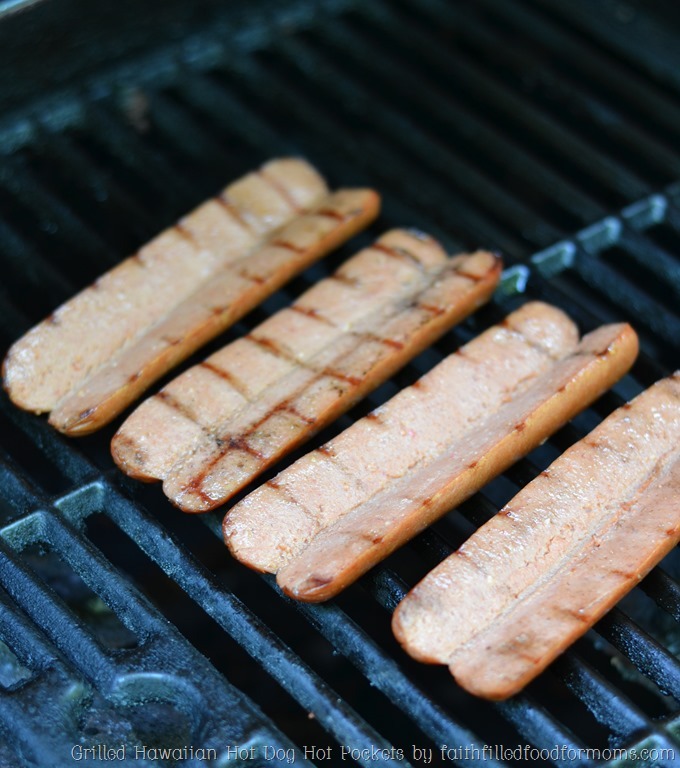 My husband is a hot dog lover through and through, but he is also super picky about hot dogs, so that’s why we have chosen Hebrew National as our favorite! All Natural my friends, they use only premium cuts of 100% kosher beef from the front half of the cow and then choose the best from that. No artificial flavors, colors, fillers or by-products. Well I guess that sounded like kind of a commercial…but hey it’s true! So guess what we will be grilling for our “rescheduled” Father’s Day?! Oooh no, not what you thought! HA! I made these to go with my Homemade Sweet and Sour Sauce and trust me…you are going to LOVE them! As a matter of fact I’m pretty sure the whole crowd will love them! If making homemade bread dough, make it first. Then while bread dough is rising, cut hot dogs length wise so they will lay flat. Grill for 2 min on each side. 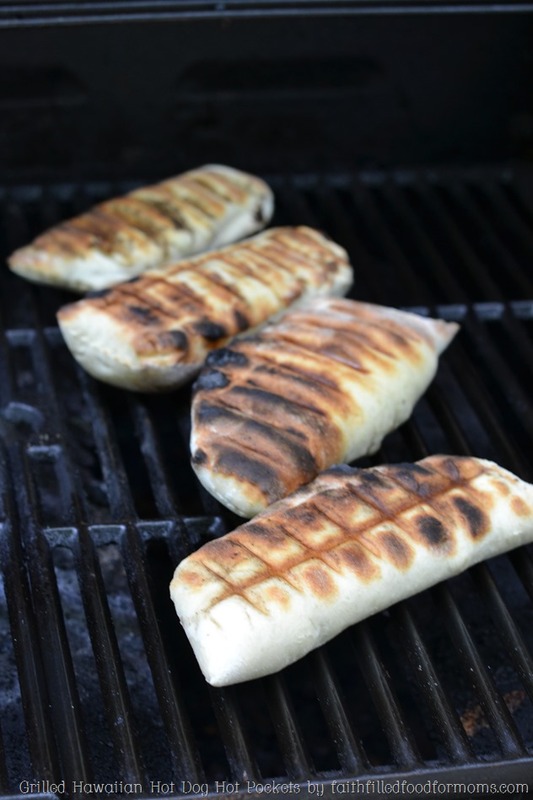 I just wanted them slightly grilled for flavor ~ you could skip this step if you are not using a gas grill and it’s a hassle to just press a button to fire up the coals. 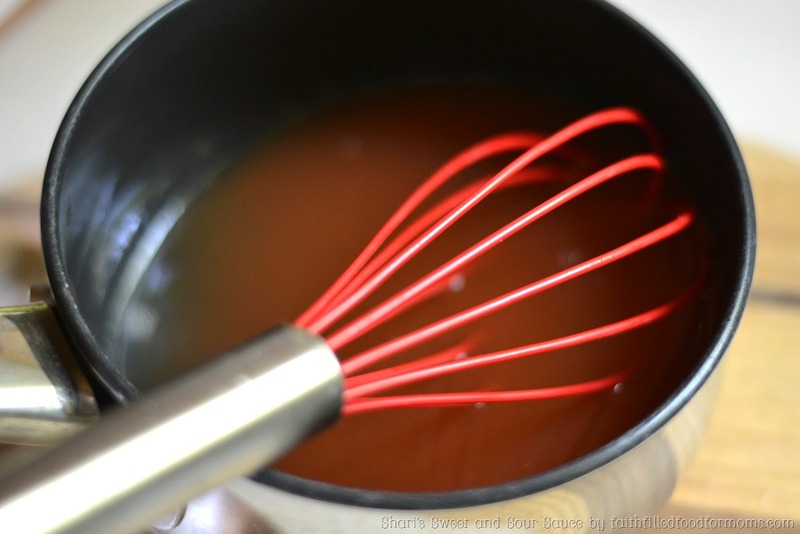 Make Shari’s Homemade Sweet and Sour Sauce (recipe below) and chop the onion and pepper. This is all done while dough is rising…so you don’t have to hurry or worry about timing…it’s a relaxed process. 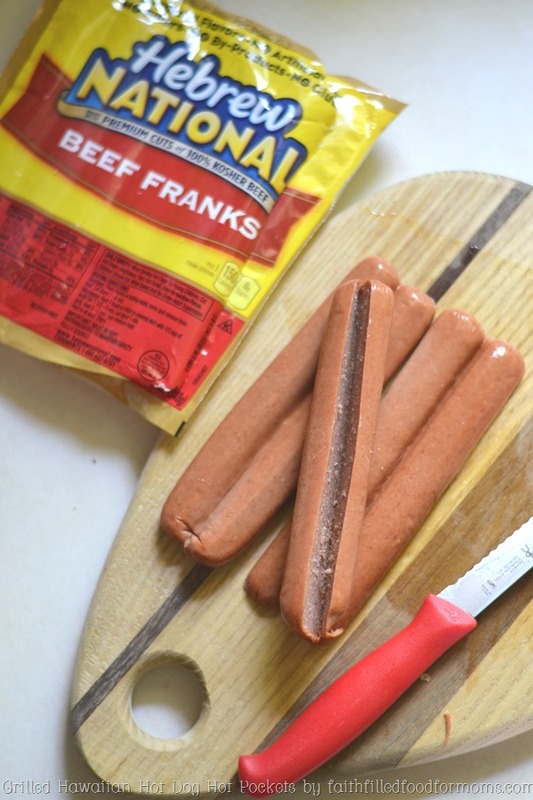 Now grab a fist full of dough and roll out dough in an oblong shape to accommodate hot dog. 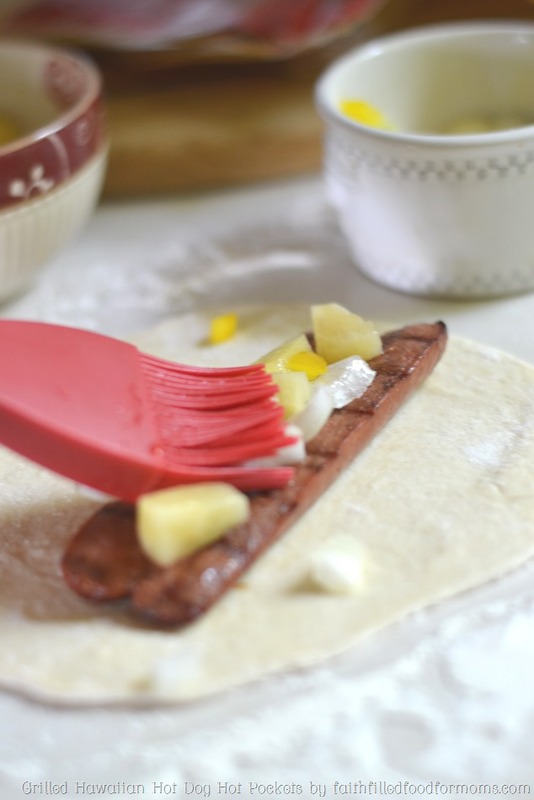 Then put hot dog on dough, add pineapple and onion/pepper mixture and brush with a little sweet and sour sauce. 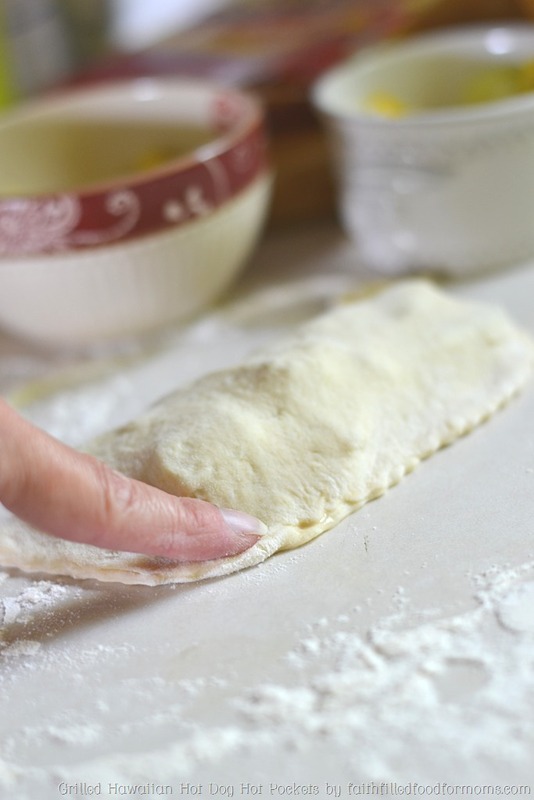 Then fold the dough over and pinch the edges together. Make as many as your heart desires. Then spray lightly with cooking spray and grill over medium low heat for about 4-5 with lid down. The bread cooks super quick so keep an eye on it. Then turn over and cook for about 2 min. more. Remove from heat and eat! Use the Sweet and Sour Sauce for dipping if you like. 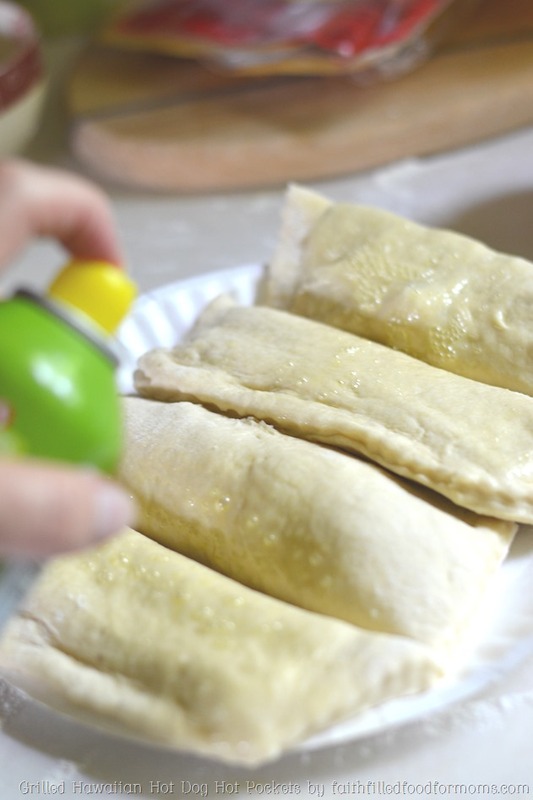 These could totally be made ahead of time and frozen, then popped into the oven or microwave! Oh and hears a little tiny secret…you don’t have to grill these. You can always pop them in the oven for about 375 for 15-20 min. until bread is golden brown. It’s legal..do it whatever way is the easiest! These Grilled Hawaiian Hot Dog Hot Pockets are super great for the kids too because they aren’t messy and can be hand held! Yay! Just one more idea…make small ones and serve as an appetizer…again..make ahead for convenience and freeze! Directions: Combine Juice, vinegar, sugars, ketchup in a small pan. Bring to a simmer over medium heat. Add the Cornstarch/water mixture and cook. Stirring while sauce boils for a bit and thickens. It won’t be too thick..just right. Let cool a little before serving. YUM! Big Hit! Yummy! What a fun lunch idea! Thanks for sharing and linking up with me today! Thanks for sharing this over at our ‘Hearts for Home Thursdays’ link-up! Great idea for a hot dog! Thanks so much for sharing this awesome recipe with us at Full Plate Thursday!